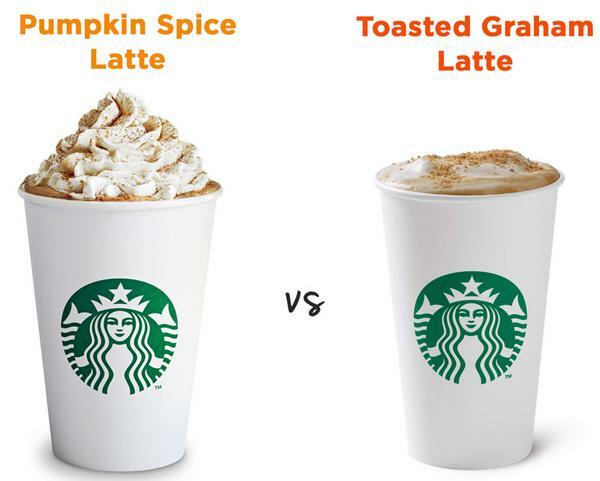 What’s Healthier: Starbucks’ New Toasted Graham Latte or the PSL? The pumpkin spice latte has new competition. Starbucks announced Wednesday that its stores are now offering the company’s first new fall espresso drink in four years: The toasted graham latte. “Graham and sweet cream meet steamed milk and our signature espresso, then are finished off with a sprinkling of cinnamon graham crumbles for a less sweet perfect treat,” a description of the new latte reads on Starbucks.com. A press release for the drink also notes that it’s designed to taste like cereal milk. The toasted graham latte (TGL) is being touted as a “less sweet” drink but the 16-ounce version with two percent milk has a whopping 40 grams of sugar, per the nutritional information Starbucks released. While that’s slightly better than the 50 grams of sugar found in a PSL, it still isn’t great. “That’s way more sugar than you ever need in one sitting, unless it’s naturally-occurring sugar,” New York City registered dietitian Jessica Cording tells Yahoo Health. The toasted graham latte also has 300 calories, nine grams of fat, 210 milligrams of sodium, and 43 grams of carbohydrates. Getting 14 percent of your daily recommended carbohydrate intake from a drink sounds surprising, but Cording says it’s not unusual for a milk-based drink that has a lot of sugar, like the TGL. The drink does have one benefit: a little protein, specifically 13 grams of it. But drinking the TGL can cause a “pretty big spike” in your blood sugar. As a result, it may leave you feeling tired as the caffeine wears off — and even hungry. However, the impact can last longer than a few hours: “If you keep having those blood sugar spikes over time, it can lead to issues with insulin spikes and insulin resistance,” Cording says. While the TGL isn’t exactly a healthy drink, it’s slightly better than the PSL. 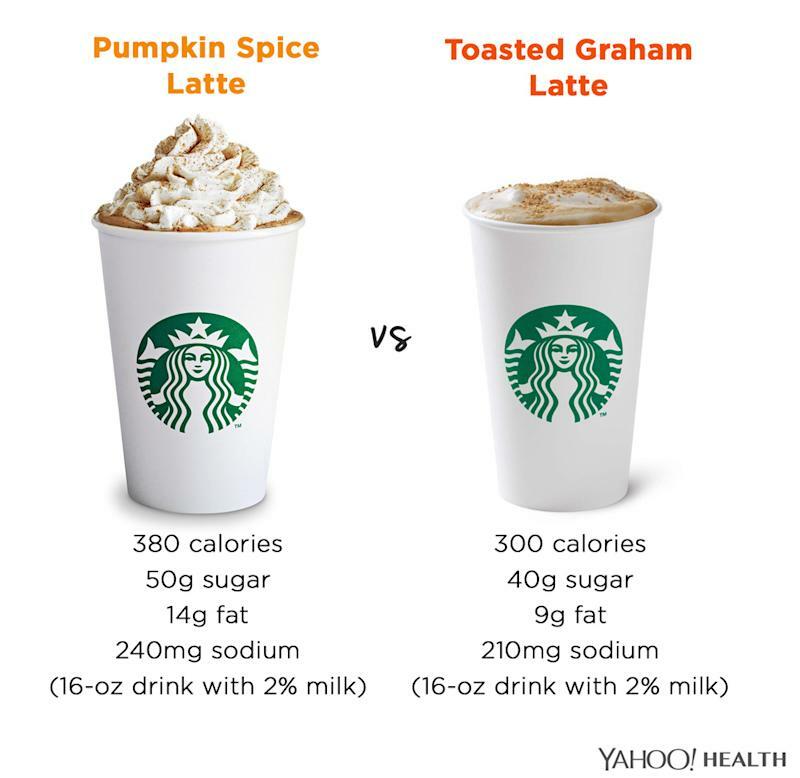 “They’re both kind of awful for you in terms of nutrition, but the pumpkin spice latte has quite a bit more sugar and also has whipped cream,” says Cording. That doesn’t mean you should completely avoid the TGL — Cording says it’s fine to enjoy the TGL (and PSL) as a treat once in a while. Want to try it? You can make it slightly healthier by skipping the graham topping and ordering a smaller size (Starbucks also offers an often-forgotten eight ounce “short” size). If you want to cut calories, Cording also advises asking for skim milk. However, she says, if calories aren’t a concern, the fat in two percent milk will help regulate your blood sugar a little better. Read This Next: Starbucks’ Pumpkin Spice Latte Is Now Made With the Real Thing — But Is It Actually Healthier?